JC2 PRESENTS SAVE MISSION By request from a steam user under the current name of Death a Barbar, I have edited the DLG file to allow a Darkside PC to keep Mission as a companion. Or rather, not cruelly kill her merely because you are a Dark Sider. There are two options > Leave Mission on the Unknown Planet Or: Convince Mission to stay with your crew and serve you. However, this mod doesn't remove the option to kill Mission, that is stilll present in the game if you choose the third dialogue. 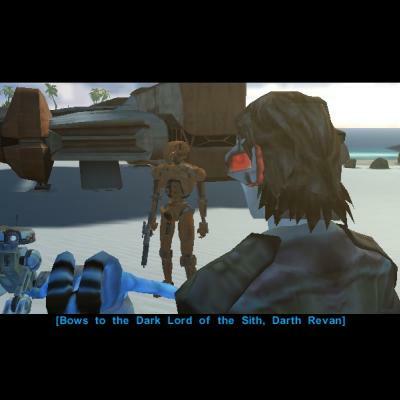 For clarity, saving Mission begins with "You're all alone.. " (This should be the first option) Leaving Mission behind on the Planet begins with "Go on Mission - Get out of here ... " (second option) Two additional dialogue options have been added that appeal more to the themes of kotor and to the Sith (as suggested by SH). They are the last two options of the six total options and result in keeping Mission. Most lines are voiced by Mission so there's an element of realism to the mod. This is K1R compatible. Installation: Unzip file, place into override, Uninstall: Delete from override. There should be no incompatiblity issues since it is only a single file. Hope you enjoy! As always feel free to leave Negative/Postive feedback! This includes sending me a better screenshot, since my computer can't handle graphics of any kind, ever... P.S. I apologize for the influx of updates, I didn't release it polished and that was a mistake on my end. The current problem with the mod, is that if you talk to Mission again after this conversation, she will result to conversations opened up only after you crash on the Lehon (unknown planet) and will not seem to recognize your recent actions as SIth Lord and whatever option you chose. This presents a bit of issue with a lack of immersion, to avoid this. Don't talk to Mission again! This is what may be updated later. Re-download to latest version, is not required at all, but it is encouraged. Contact me for bugs, issues, or feeback by PM or writing a review here. FYI: Red Mission is a seperate mod by another modder. Credits: Thanks Deadlystream for hosting my mod. 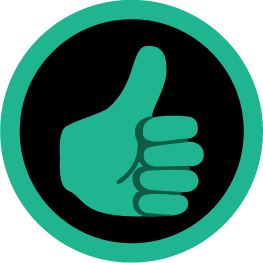 Thanks SH and Death'a'Barbar for suggestions Thanks FS for the DLG editor tool Thank you ! For downloading the mod. ************************************** Knights of the Old Republic - The Sith Lords ************************************** TITLE: TSL Mission Vao Deluxe AUTHOR: Effix CONTACT: PM me on the forums or find me on Steam ************* INSTALLATION ************* Run the file "TSLPatcher - Install TSL Mission Vao Deluxe.exe". If you are running the Steam version + TSLRCM then you have to point the Patcher to where Steam stores TSLRCM. 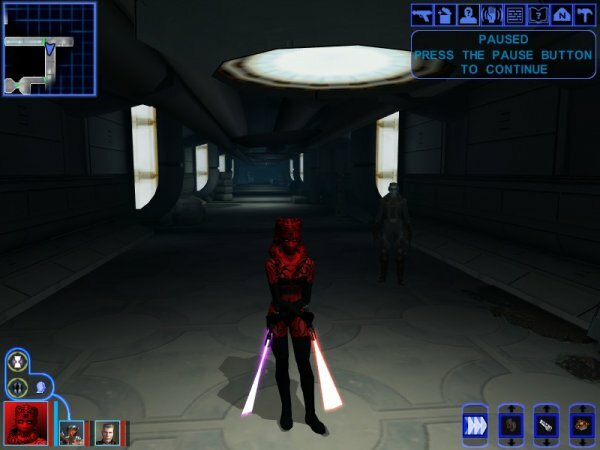 ************ DESCRIPTION ************ Adds a playable character based on Mission Vao from KotOR 1. There's: -custom underwear (a bit of a mix of the outfits of the Twin Suns Twi'leks). -custom basic clothing based on Mission's Survival Jacket from K1 -optional darkside transition alternatives, not installed by the patcher. See the folder "Darkside Alternatives" and if needed howto.txt in that folder. You can also find an overview picture there. ***** BUGS ***** None known. ************* UNINSTALLING ************* 1. 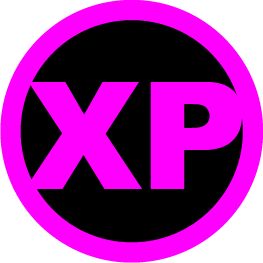 Remove the following files from your Override folder: P_MissionBA01.tga P_MissionBAD01.tga P_MissionBB01.tga P_MissionBL01.tga P_MissionXH.tga P_MissionXHD1.tga P_MissionXHD2.tga po_pMissionX.tga po_pMissionXD1.tga po_pMissionXD2.tga 2. If you haven't installed any head mods after this mod you can get the following files from the mod's backup folder and put them back in your Override folder: appearance.2da heads.2da portraits.2da Doing this when you did add another head mod would result in the later head(s) no longer being available in the game, yet the associated files would still be in the Override folder. ******************* DISTRIBUTION NOTES ******************* You may NOT: Use the material from this mod in your own mod without giving me credit, implying it was your creation. You might: Use the material from this mod in your own mods if you simply ask me. ******** Thanks to ******** Stoffe and Fred Tetra for the needed tools and tutorials The people at the Filefront forums (R.I.P.) for the feedback ------------------- THIS MODIFICATION IS NOT MADE, DISTRIBUTED, OR SUPPORTED BY BIOWARE, OBSIDIAN, OR LUCASARTS ENTERTAINMENT COMPANY LLC. ELEMENTS TM & © LUCASARTS ENTERTAINMENT COMPANY LLC AND/OR ITS LICENSORS. ************************************** Knights of the Old Republic - The Sith Lords ************************************** TITLE: TSL Mission Vao Jacket AUTHOR: Effix(ian) CONTACT: PM me on the forums or find me on Steam ************* INSTALLATION ************* Unzip. Move the extracted files to your Override folder. ************ DESCRIPTION ************ As requested by Teddy273 here on Deadly Stream and a remake of the outfit that came along with my TSL Mission Vao mod. 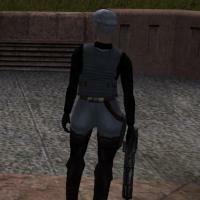 This mod adds a light armor for females, based on KotOR's Mission Vao's outfit. Mira has this item on her, but you will only get it when you use a save game from before you get to play as her (Before playing as her in the Jekk'Jekk Tarr). The stats are mostly based on Mira's Jacket with some extra skill bonuses inspired by Mission. Mission Vao's Jacket (cheatcode: missionjacket) Gender required: Female Defense Bonus: 5 Damage Resistance: Resist 5/- vs. Bludgeoning Damage Resistance: Resist 5/- vs. Piercing Damage Resistance: Resist 5/- vs. Slashing Skill bonus: Computer Use +2, Stealth +2 Upgradable: Like light armor ************** COMPATIBILITY ************** - This mod replaces the Revan/Star Forge model, so it's not compatible with any mod that does the same. - Not compatible with any mod that changes Mira's character file (p_mira.utc). Mira reskins should work. ***** BUGS ***** None ************* UNINSTALLING ************* Remove the following files from your Override folder: ia_revan_079.tga missionjacket.uti p_mira.utc PFBJ79.tga pfbjm.mdl pfbjm.mdx PMBJ79.tga pmbjm.mdl pmbjm.mdx ******************* DISTRIBUTION NOTES ******************* You may NOT: Use the material from this mod in your own mod without giving me credit, implying it was your creation. You might: Use the material from this mod in your own mods if you simply ask me. ******** Thanks to ******** Teddy273 (Deadly Stream) for the request Fair Strides for advice on fixing issues Fred Tetra for KotOR Tool ------------------- THIS MODIFICATION IS NOT MADE, DISTRIBUTED, OR SUPPORTED BY BIOWARE, OBSIDIAN, OR LUCASARTS ENTERTAINMENT COMPANY LLC. ELEMENTS TM & © LUCASARTS ENTERTAINMENT COMPANY LLC AND/OR ITS LICENSORS. Last known documentation of Manaan facility before governmental blacklisting.